Please do not telephone to order a repeat prescription due to the possible risk of errors. The surgery uses its best endeavours to ensure repeat prescriptions authorised by your doctor are available for collection within two working days (excludes weekends/holidays) and these can be collected only during normal opening hours. Alterations to items on your prescription or new items added by the hospital may take slightly longer to prepare. There is a national programme underway which enables patients to nominate a usual pharmacy to receive their prescriptions electronically. You request your medication in the same way you usually do (online, via the pharmacist or completing a repeat medication slip and handing it into the surgery) but instead of you, or the pharmacy on your behalf, collecting the prescription from us, we send it to them electronically. This means, you can go directly to your pharmacy to collect your medication, which will hopefully be ready for you. As well as saving you time, using this system means we can trace where a prescription is at any given point therefore reducing inconvenience to you through miss-placed prescriptions. For further information on this service and how you nominate a pharmacy of your choice please click here for a leaflet. 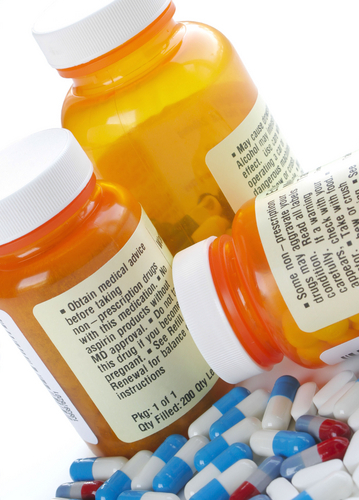 Medications - Can you buy some of your medications over the counter? Prescription prepayment certificates (PPCs) offer real savings for people who need extensive medication. If you will have to pay for four or more prescription items in three months, or more than 15 items in 12 months, you may find it cheaper to buy a PPC.